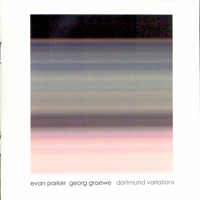 Another piano duo album Evan Parker has recently released is Dortmund Variations with German pianist Georg Gräwe While Parker focuses his energy on tenor exclusively, Gräwe plays on a Bösendorfer Model 225 grand piano. 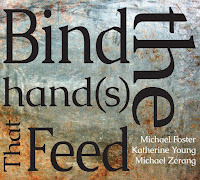 It is absolutely fascinating to see how this album differs from Parker’s collaboration with Agustí Fernandez - even for non-believers. Like Parker and Fernandez, Gräwe and Parker have a history as well, yet a completely different one. 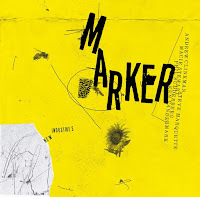 Their only former collaboration is Unity Variations (Okka, 1999) but they have known each other as label mates from Jost Geber’s FMP, and when the then 20-year-old Gräwe released his first album New Movements, Parker already belonged to the established musicians in free jazz. So Gräwe knew the catalogue of the first generation ancestors by heart and wanted to add something new turning to the rich heritage of miner songs (Gräwe is a native of the Ruhr-area town Bochum) and Hans Eisler compositions which he included in the works of his own Grubenklang Orchestra (1982 – 1993). To put it in a nutshell: Gräwe's background is as German as Fernandez’ one is Spanish, and Parker blends his English new music heritage perfectly with both of them. Dortmund Variation consists of three tracks, and the first 36-minute variation establishes the set of terms. Gräwe's style is less percussive than Fernandez’, he is playing counter-rotating lines of incredible velocity especially with his right hand and Parker is winding around these notes as if he and Gräwe were dolphins courting. The two of them seem to know each other so well you could swear that they have played together regularly. Gräwe's knocks out cascades of pearls – it is like watching a New Year’s Day fireworks, although Parker avoids his usual characteristics. 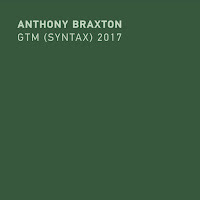 This is one of the few albums where he hardly uses circular breathing (just at the end of “Variation III” you can find a short exercise). 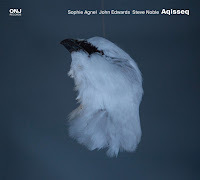 In contrast to the recording with Fernandez there are no solo parts here, the album really is a 63-minute duo, a real symbiosis, but if you want to find a flaw you can call this one-sided as well. 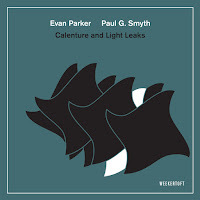 Evan Parker’s deconstructions can be stressful over the length of an hour but listeners dedicated to listening carefully as he follows the improvisational process and those who are willing to delve into Gräwe's fresh complexities will definitely enjoy this album.